Personal Statement and Resume. 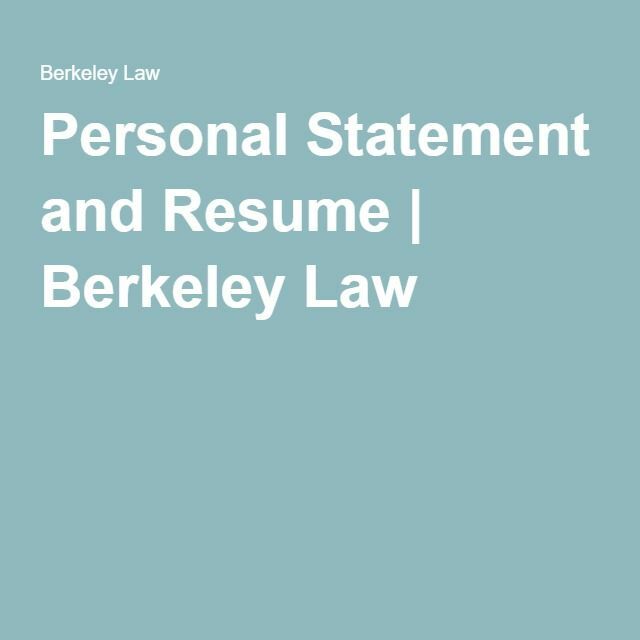 Together with the information on your resume and any addenda that you include, the personal statement is your opportunity to articulate the voice, perspective, and contribution that you will make to Berkeley Law's entering class. Applications are reviewed holistically. The review committee will consider every part of each application, including grades, universities attended, English language exam scores, the Personal Statement, C.V., professional experience, letters of recommendation, and achievements in nonacademic activities or public service. For those of you who applied and go in to Berkeley/have legitimate insider info, how critical is it have a 3-4 page Personal Statement?